Sometimes, getting your hands dirty and doing a few projects around the home can be a fun and relaxing experience – not to mention one that can save you a few pounds. 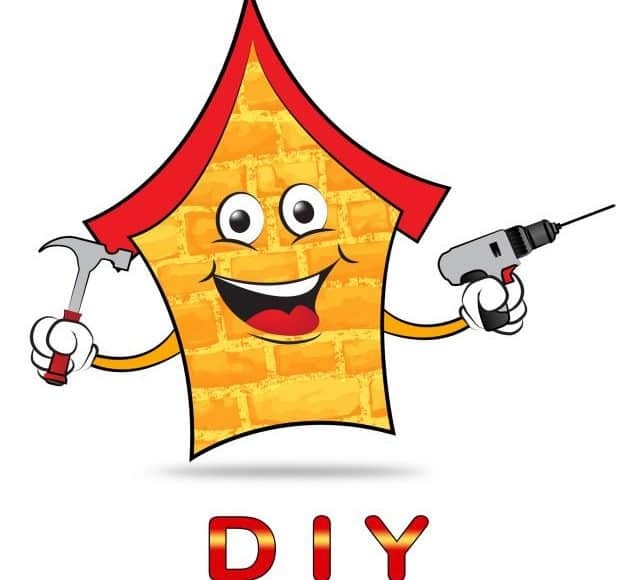 If you are thinking about undertaking the task of redecoration yourself, then you might want to consider a few of the DIY projects that we have listed here. With many of them featuring clever ways to upcycle old items, you’re sure to find something that interests you here. Take a look and see if you can find your next DIY project. DIY stands for Do It Yourself. This is where you undertake a project instead of getting professionals in to do it or purchasing it from a store. It can include a huge number of items – everything from furniture to candle holders. A way of working that has been popular for years, it offers you a great alternative for the decoration of your home. Of course, you also need to answer the question of why you should choose DIY projects over purchasing the items you need and having them built for you (or coming premade). One of the big factors is the difference in price. 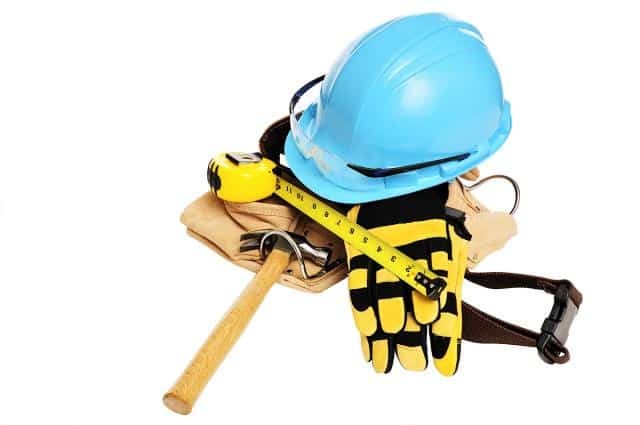 It is often a lot cheaper to perform DIY tasks, which can make you some great savings. Often, it also allows you to put your own spin on the work you are producing as well. This can make the experience a more fun one, but also lets you learn a little more about what works for your house, as well as how to go through with the task. Practice makes perfect, after all. DIY gives you a further sense of independence, and even has the power to inspire you to start your own DIY-related business. DIY also means that you can recycle old possessions and ensure that there is as little waste as possible in your home. This means that you have less of a negative impact on the environment, but it also means that you save money buying new things, linking us back to the money saving advantages of DIY projects. DIY brings a little something extra to your home. After a good deal of practice, your DIY projects will look professional, and no doubt your friends will be asking where you got the items. Telling them, you made them yourself is not only impressive, but could also inspire others. It won’t necessarily increase the value of your home, but it does allow you to create splendid aesthetics that will no doubt lead to a calming and peaceful atmosphere in your home. When showing your house, this can help to put the minds of buyers at rest, and encourage them to place a bid. After all, a home that makes people feel good is more likely to be sold. People want to go into a home and see themselves living inside it already. That’s why the presentation is so important. 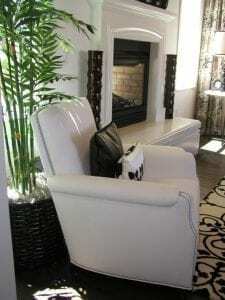 By using DIY to create a welcoming and tranquil place to exist, prospective buyers will be able to see themselves in the home, and be more prone to making an offer to purchase it. DIY can be a fantastic sales tool for selling and you can even do your own DIY house removal once you have bought a new place..
You would be amazed what a can of spray paint and a few old tyres can do. Be prepared to spice up your garden with this amazing DIY trick. You can use one to three tyres for this project, although if you choose the latter, you will need three different sizes so that they stack onto each other. The point of this project is to create colourful planting areas, so that you can beautify your garden just in time for the summer months. Take the tyres outside, and coat them in the spray paint brand and colour of your choice. To make it last, it is best to cover them in a couple of coats of paint, and also use a waterproof spray to finish it off. You can even create images and patterns on them. Once this is done and they have been left to dry, you can then arrange them in any way you like in your garden. Once they have been arranged, fill them with fertile soil and plant the flowers and other plants of your choice inside them. Maintain the plants as per the instructions they come with, and you will have a gorgeous garden in no time at all. No one will guess that they used to be tyres once you are done with them, and you are sure you get a lot of compliments at your next family dinner or BBQ with friends. Low in terms of cost, and easy to carry out, it is one of the best and simplest DIY projects you can try. It is amazing what you can do with some old toilet paper cardboard. Before you go to throw yours out, take a look at some of the amazing things you can do with them. Take your toilet paper cardboard rolls and cut them into sections so that you are left with circles of cardboard that are the same thickness. Shape them into oval petal and glue them together to create a flower. Once this has been done, you can paint them any colour your like. Once the paint has dried, attach all the flowers together using more glue. When they have dried, secure them to your wall to create a gorgeous floral mural. You can make it as large or little as you like, but it will definitely bring a little something extra to your home. You can also use this same method to create a floral frame for your bathroom or bedroom mirror. With the ability to make it as small or large (and extravagant) as you like, it will bring some glamour to your mirror while you are brushing your teeth or doing your hair. It is also possible to glue them together and use them as scarf holders inside your chest of drawers. It keeps them safe and also leaves each scarf visible, making it easier for you to choose one before you head out for the day. If you have a child who enjoys playing with toy cars, you can also create a fun and decorative garage for them all to be stored in using the old cardboard rolls. By glueing them in a tower (start with a 6×6), you can place them somewhere tidy and easy for your child to access. Plus, you can both have fun painting the garage for a more personal touch. One of the most classic home improvement tips is the concept of bringing the outside in. This is where you decorate your home with the aim of a more natural look, creating a calm and tranquil aesthetic. One great way to do this is by creating natural looking candle holders. Take a glass candle holder and a selection of twigs and sticks from your garden. Using a hot glue gun, secure the sticks and twigs around the outside of the candle holder. Once they have dried, you will be able to use it to hold small candles, making it perfect for lazy evenings with friends and loved ones. You can also create indoor flower pots with them. Using string, tie the sticks and twigs together (top and bottom) and fit them around a circular pot. They should slide on and stay there snugly, so there is no need to glue them onto the pot. Once this is done, you can plant anything you would like in the pots and line them on the windowsill or in other locations within your home. Logs of wood that won’t be used in your fire can also be utilised to create a great looking coffee or end table for your home. Rustic and appealing, it brings a warm aesthetic to your home. Plus, it’s really simple to make. Just stand each of the logs upright and secure them together once you have made them all an even height. If you are a crafty person, your den is going to need a little bit of you in order to feel like a place of inspiration. Utilising old clothes can help you to achieve just that. Use old jean pockets, secured onto mounting card, and place your craft items into them. Things like scissors, pens, rulers, and other essential tools should fit perfectly. Plus, you can mount it on the wall to make it that much more accessible. You can also use old shirts to create a tablecloth for your art room. It saves you money, and you are only getting shirts you would have otherwise thrown away messy. It’s a great way of keeping paint and other tricky to remove materials from your table. It keeps things tidy, and the cloth can easily be replaced without you needing to spend anything extra. Have you got some old cutlery that you were thinking of throwing away? Instead of chucking it out, you may actually find a cool and artistic use for it. Take an old metal bowl (or another type of base) and attach the cutlery to it with strong thread. You can either drill through the cutlery or attach it using glue. In between the items of cutlery, attach decorative items, such as beads on string, for a little added something. It doesn’t matter if the cutlery is wooden or metal, it will still look great. Once everything has been attached securely, you can hang it from the ceiling, with the cutlery dangling above you. This design looks best in your kitchen or dining room, and it really brings the room to life. Plastic bottles have a plethora of uses that are sure to amaze you. There are so many great ways that you can use them around your home. One of the most popular ones is growing bottle plants. You can place the seeds in the bottle with a little water and soil before leaving them on your windowsill to germinate. Once they start to grow, you can plant them outside and allow them to flourish. If you want to create a fun and funky pot for your stationery, using the bottom half of a plastic bottle, you can decorate it using anything you like. One of the best ways to make it look less like a plastic bottle is to glue coloured card around the outside before you decorate it. Make it your own with glitter, stickers, or any other little items that will give it a little personality. You can also use the same method as above to create a toothbrush holder for your bathroom. Decorate it in a way that will suit your bathroom. A great suggestion is to cover the lower half of your pot with turquoise card. The upper half can be wrapped in rough string for a marine feel. After that, feel free to decorate it with aquatic items or images. Seashells and starfish are sure to look great on this nifty bathroom pot. 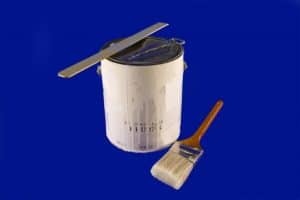 Have you got old paint lying around from the last time you redecorated your home? A lot of the time we condemn it to our sheds and garages, waiting to be thrown out in a few years when we move or decide to have a clear out. However, instead of letting it go to waste, you could use it instead. Have you got furniture frames that could do with some new life? The best way to achieve this is with a quick lick of paint – and it can be done with the leftover stuff in your garage or shed. It doesn’t matter what colour the paint is, if you like it then you should go for it. Give your chairs, beds, and other wooden furniture a new lease on life that will have your friends asking where you got your new furniture from. You’d be amazed by the difference a coat of paint can make when it comes to sprucing up your home. Plus, it takes no time at all. Your old curtains don’t need to be thrown away. You can create new blankets for your bed, or for guests to use when they stay for the night. Of course, this method works best with thick curtains. If you use the whole pair, you can even create a large duvet cover, helping to keep you warm during the winter months. All it takes is basic sewing skills and a few buttons to secure the duvet. You’ll be left with an amazing design. Using the same skillset, you can also turn them into cushion covers for your bed or sofa – leaving you with a fun and artistic design. Old curtains can be used to create a whole range of new items for your home, bringing a little extra something to your home, as well as leaving you with some very unique designs that will have your friends asking where you got them. You can also turn your curtains into a laundry bag that can be hung off the peg on the back of the door in your bedroom or bathroom. Due to the fact that it is made from curtain, it will be much stronger than most materials – so it can hold more laundry, and can be hung from a peg for longer periods of time. When we talk about suitcase tables, we don’t mean just any suitcases, we mean the classic ones. The bulky suitcases that you would have found earlier in the 20th century, the ones that resemble bulky briefcases more than the suitcase you find today. They have a classic, rustic, look that leaves a house feeling more like home. You can use these suitcases to create a cool aesthetic for your home. Try getting three or more (each a different size) and stacking them beside your bed. By doing this, you can create a really retro end table that leaves your bedroom with quite the snazzy feel. You could also use the suitcases as a form of storage. By placing them on a chair or under your bed, you can use them for storing clothes and other important items. In fact, you could replace your chest of drawers with a niftily designed stack of these great and versatile cases. 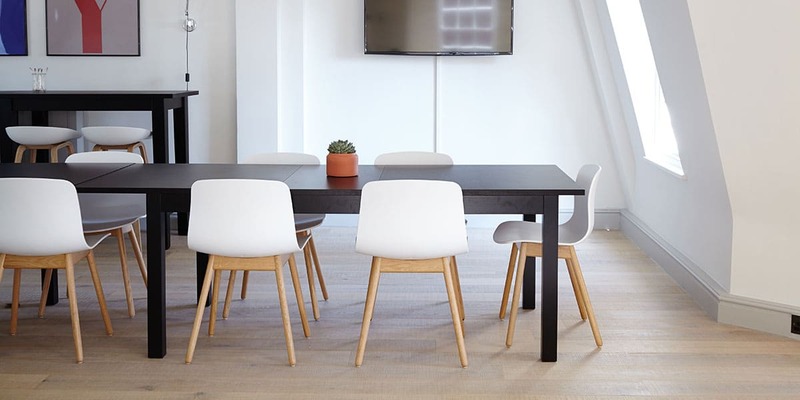 If you attach one of the larger case sizes to a wooden frame with legs, you could even create a small desk or table for your bedroom or office. They tend to be quite sturdy, and the hollow middle means that you can also use it for storage when you have finished working for the day. Sometimes, our dressers look a little plain and drab – same with our other wood furniture, like wardrobes and bookshelves. The best way to spruce these pieces of furniture up is by using wallpaper to decorate them. You might have some leftover from the last time you decorated your house, or you may have found some that you really like at the hardware store but have nowhere to put it in your home. Now you do. No matter the colour of your wood furniture, wallpaper will look amazing on it. Plus, you can use any design imaginable without it looking tacky or odd. If you find yourself struggling, remember that most stores will allow you to take a sample of each type of wallpaper you are interested in – so you can take them home and see which ones look best on your furniture. If you have the option, it’s always worth it. Pillow pockets are a fun and artsy way of making sure you never lose your TV remote (and other electronics) again. Simply attach an old piece of clothing or material to the cushion in question and fashion it into a pocket. One of the most popular types of material to use is the back pockets of jeans. They have a cool look to them, and are deep enough to hold your items securely. However, it is recommended that you use men’s jeans, as the pockets tend to be bigger and deeper than women’s. 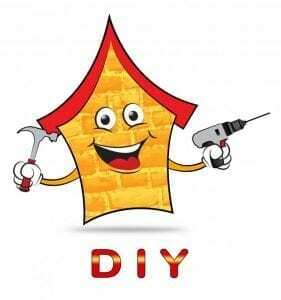 Hopefully, this guide has given you some insight into the DIY projects that you can undertake yourself in your home. Whether it’s a big or small project, there is something that everyone can do here. Even if you have no DIY experience, there is a task that matches your level of DIY experience. From small home improvements to larger projects, there is something here for every room in your home. Plus, you’d be amazed what you can reuse in your everyday life. Minimise your waste and get upcycling with these amazing tips. What did you think of our home DIY projects? We love hearing from you, so let us know your thoughts (and any that you would have added) in the comments below.